Certificate award to ATC specialists and pilots! On the 22th of September the RAI finalized the "ATCO Basic Training Course" and awarded the certificates to the students of the state enterprise "Kazaeronavigatsia". Moreover, a commercial pilot license was awarded to the RAI student Karen Cvetanovich, who successfully completed a full course of professional training for a commercial pilot, including such programs and ratings as PPL, CPL, ATPL, IR, MEP (FCL). On behalf of the RAI administration and instructors we congratulate them and wish them a successful professional career! On the 21th of September 2017 in the frame of the ERASMUS + program, RAI was visited by the lecturer from the Belastok Technical University (Poland), PhD Wojciech Tarasiuk, who conducted open lectures on the topics "CAx education and Tribological Problems during the Compaction of Granular Media as Exemplified by Sand - Lime Mixture". A working meeting was held at the level of the Dean and the Administration, where further cooperation plans were discussed. 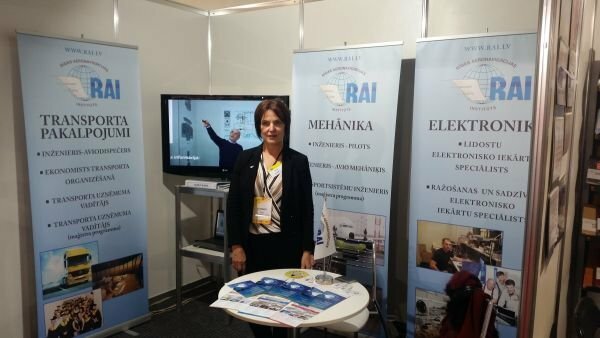 RAI participations in the exhibition "Business Days in Latgale 2017"
On the 15th and 16th September, the Riga Aeronautical Institute participated in the exhibition organized by the Latvian Chamber of Commerce and Industry (LTRK) "Business Days in Latgale 2017", which took place in Daugavpils, Olympic Center. The visitors had an opportunity to get acquainted with RAI's offered study programs and educational opportunities in Daugavpils and Riga. 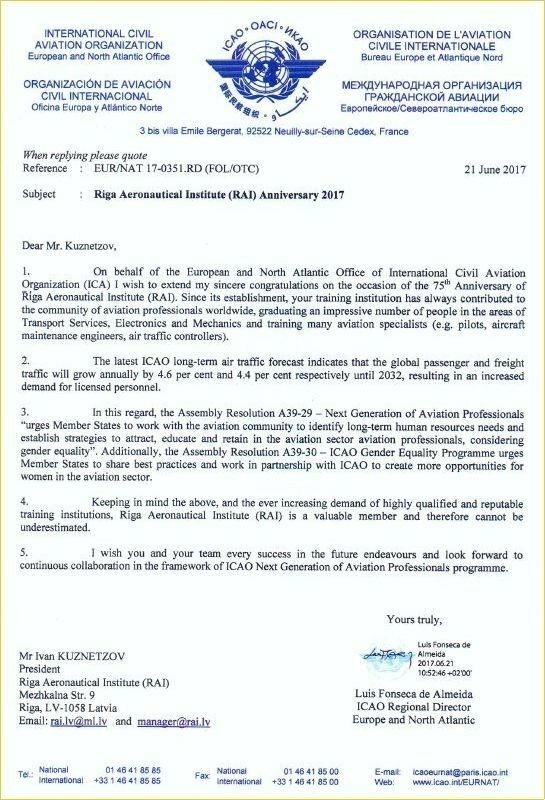 1.On behalf of the European and North Atlantic Office of International Civil Aviation Organization (ICA) I wish to extend my sincere congratulations on the occasion of the 75th Anniversary of Riga Aeronautical Institute (RAI). Since its establishment, your training institution has always contributed to the community of aviation professionals worldwide, graduating an impressive number of people in the areas of Transport Services, Electronics and Mechanics and training many aviation specialists (e.g. pilots, aircraft maintenance engineers, air traffic controllers). 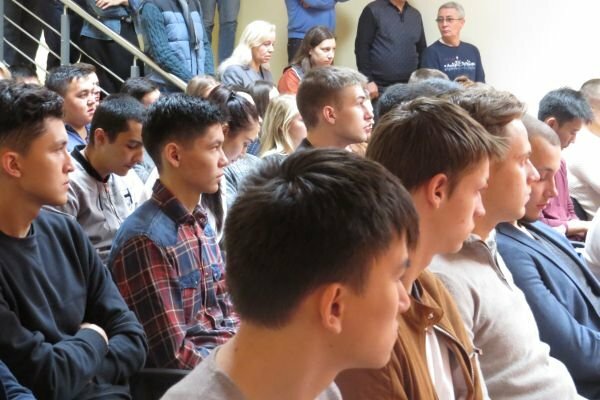 On September the 5th 2017, Riga Aeronautical Institute convened the opening ceremony for the 2017/2018th academic year. The ceremony was attended by RAI academic staff and students, including the 1st year students. 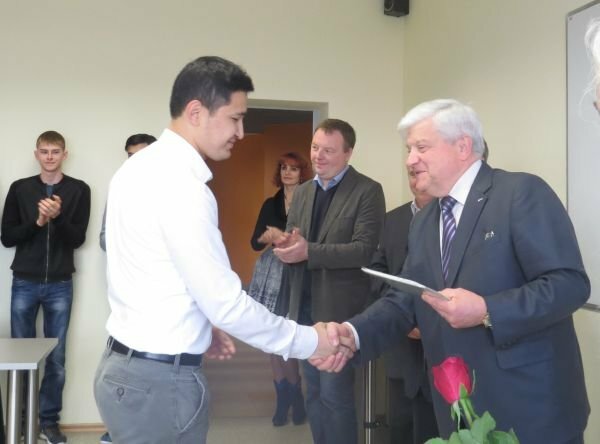 The ceremony was opened by the Rector Anatolijs Melnis, who greeted the students with the start of the new academic year. During the ceremony the students which demonstrated excellent study results and actively participated in social activities during the previous study year, were awarded with certificates of gratitude. RAI management and academic staff wished creativity, intellectual curiosity and diligence to all the students in order to reach new achievements.